Most AV professionals have one overriding goal when they approach any project: To create a seamless audiovisual experience that makes users forget they are using the technology. Integrators have many tools available, including their specialized trade knowledge and real-world understanding of AV and control systems, to help make this happen. But in today’s integration projects, audio sometimes takes a back seat to video. Integrators and end users alike often think of the massive video walls or 4K projection systems as providing the “wow factor” in a project. But investing some extra time in perfecting your audio skills can improve your ability to create that seamless experience. Video is, undoubtedly, a major component of modern AV setups, and many AV professionals dedicate a significant portion of time to synchronizing devices, installing state-of-the-art video equipment, and ensuring that the networking technology connects properly. In all this busyness, audio optimization sometimes falls by the wayside. Yet the audio experience is at the core of any business communication. Nothing can bring a business meeting to an abrupt halt like complete audio loss. Aside from complete communication loss, audio problems such as lag times and poorly adjusted acoustics significantly affect the overall user experience. Clarity, tone, volume, and equilibrium can make the difference between a so-so AV system and an exceptional videoconferencing, seminar, or event experience. In the radio and music industry, professionals constantly adjust sound equipment to provide the optimal listening environment. AV professionals who dedicate the same level of care to their audio system installations will start to see improved user satisfaction levels, resulting in fewer service calls and more client referrals, directly improving your bottom line. And that’s not to mention the personal satisfaction integrators feel as they step back and listen to a perfectly EQ’ed room. 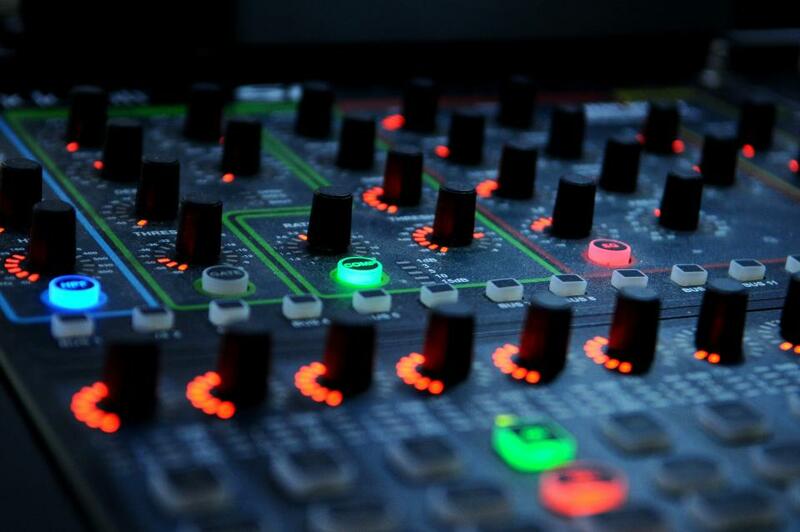 Even knowing all this, AV companies rarely invest in a full-time audio specialist. Individual AV professionals shift the focus away from audio optimization because the process is inexact and they don’t always receive the necessary training and support. Adjusting audio equipment requires a practiced ear and a willingness to play with the equipment to find the right balance. Consider investing in your audio skills to bridge a gap in the industry, add value to your team, and gain a competitive edge in the industry. Audio is the foundation for all successful AV implementations. Speaker adjustments. Even untrained ears will notice reverberations, buzzing, or other noises that detract from the overall listening experience. Test each set-up to ensure sound comes through clearly and materials in the space support horizontal and vertical sound dispersion. Microphone adjustments. Microphone placement and settings should reduce ambient noises while clearly picking up and transmitting a speaker’s voice through the system. AV professionals often need to make on-the-spot judgment calls regarding a client’s audio needs and expectations. Mute functionality, setup design, and testing should consider both normal and extreme circumstances. Give your clients the audio system they need to succeed in their communications, regardless of environmental factors. Room coverage. A well-designed, properly tuned system will provide optimal sound coverage for any seat in the house. Walk the room while a colleague adjusts EQ to ensure the same sound quality for those in the front row, those in the back, and those who may be sitting directly in front of the presenter. Some rooms are more challenging than others to ensure smooth, even coverage. In some cases, acoustical treatment can reduce reverberation so that words sound clearer. While acoustical treatments are sometimes “value-engineered” out of a project, their addition can represent an up-sell that improves the sound quality in the room and, therefore, the overall user experience. As an AV professional, you have the opportunity to sharpen your audio skills in the office and on job sites. Take every available chance to adjust your typical setup style in favor of a more audio-friendly approach. Shift your focus to audio in your everyday life, too. The next time you go shopping, out to eat, to a concert, or to a movie, pay attention to your own sound experience. Has bad sound ever ruined what should have been a relaxing, enjoyable night out? As you practice, you’ll develop the ear to recognize good sound and the technical skills to design a system capable of producing it. A seamless sound experience is one hallmark of a great AV system setup that competitors can’t always replicate.